Conscious Corner Block Party, Havaianas Melting Pop-Up Store, Cuban American Music Festival, Kickback LA party, Bonsai Show, LA Bread Fest, Urban Air Market, SoRo Fest, Gluten-Free Expo :: LAaLALand Alert!! | LAaLALand Alert!! Conscious Corner Block Party, Havaianas Melting Pop-Up Store, Cuban American Music Festival, Kickback LA party, Bonsai Show, LA Bread Fest, Urban Air Market, SoRo Fest, Gluten-Free Expo :: LAaLALand Alert!! Screenings: “500 Days of Summer”, “Friday”, “Wayne’s World”, “Rogue One: A Star Wars Story”; and so much more! First Free Friday& 15th Anniversary. Enjoy free admission all day during Free First Friday! What better way to celebrate summer than a block party, and a social good one at that! Conscious Corner, a social good block party in conjunction with Bixby Knolls’ First Friday. They’ve gathered a group of amazing do good brands each making the world a better place through the work they’re doing around the world. -5000 PIES: The most delicious pizza company that transforms the lives of young adults in West Long Beach through culinary employment and life skills coaching. -ALLKIIND: Ethically made lifestyle products that challenge, celebrate, and give back. – ATILIAY: Hand lettering + giving back. Specializing in greeting cards for all occasions. -CHARITY WRAP: Fashion and accessories that support organizations empower those who have been battered, abused, and neglected. – FIREFLY WINELIGHTS: Bottles & jars. repurposed for a greater purpose. Every purchase benefits The Gwendolyn Strong Foundation. – HUMBLE PROJECT: Apparel and accessories and platform for you to share your TIME, TALENT, or TREASURE with the less fortunate. -REMNANT INTERNATIONAL: Headbands and apparel that empower the abused and neglected women of northern Uganda through the trades of screen printing and sewing. -TOTE PROJECT: Fair trade, organic tote bags sewn by human trafficking survivors. Reconstruction Bootcamp is a one-hour bootcamp that is focused on high intensity, full body group workouts. They use kettle bells, flip and drag tires, box jumps, weighted squats, team drills, etc. All levels welcomed as weight and number of reps depends on your fitness level! Start your weekend right with others on the same journey as you! Sign up through the Mindbody Connect app by looking for Reconstruction by Leti or here. One time advanced sign ups can also be done by Venmo (@LeticiaBecerra) or PayPal and Chase at Becerra.Leticia@gmail.com .Please add a note with desired bootcamp date. This is a free celebration promoting peace, harmony and diversity from Los Angeles to Africa. Encouraging meditation and celebration as part of peace building for our global community. At Africa Day, join forces with non-profit organizations affecting change; celebrate with food, dance, and musical performances; and meditate for peace. Be a bridge connecting Los Angeles to Africa. Register to receive a happiness starter kit – including a free guided meditation! Pop-up activations are a dime a dozen. “Limited edition” and “limited time only” are words that are thrown around by everyone and they don’t necessarily mean anything. Havaianas is taking the idea of limited time to a whole new level and creating the World’s first melting store. Guests will be invited to indulge in a custom snow cone while escaping the California heat inside of the icy walls. It might be open for a day, maybe two hours – it all depends on the temperature (mercury rising). So get there while it’s hot as Havaianas brings you the cool. On Saturday, June 3rd, Havaianas will unveil their melting store on the Santa Monica Pier. Constructed entirely out of ice, there’s no telling how long it will be there. As soon as it melts, it’s gone forever. Guests will be invited to cool down inside while a sculptor shaves the melting walls into ice cone treats. The first 100 guests to stop by will receive a free pair of Havaianas. At this store you don’t have to spend a dime, and in fact, you can’t. MOORE Dancing LA’s Premier Cardio Dance Studio is opening up the floor for FREE. Join for back-to-back mini master classes, showcasing LA’s hottest instructors! To kick off Summer 2017 and get ready for bikini season, MOORE will offer various 15-minute class styles including PlyoJam, Zumba, Cardio Hip-Hop, Dancinerate, Pop/ Hip Hop Choreo, Zumba Toning, Cardio Pop & Pump, U-Jam, Advanced Hip Hop Choreo, Grooves, Intermediate Hip Hop and 80’s Dance Party. Grab your friends and get ready to dance up a sweat! Complimentary Perks: Snacks and drinks, Shopping boutique, Social Media Photobooth, Studio Specials, Giveaways, and more! Each friend you bring will earn you a Free Guest Pass. *Redeemable by new students*. This event is generously sponsored by: CAVA, Noosa Yogurt, Kona Deep, KIND Snacks, Zico Coconut Water, Just Chill and Tipology Nail Spa. Bootie presents the “Best of Bootie” from the past to the present, as resident DJs ShyBoy and Axel dig deep into the mashup vaults to play the “Bootie Classics” from 2001 to today! Not just today’s pop, but your favorite mashups from the past two decades. Plus go-go insanity from R.A.I.D. and more! LA’s weekly all-mashup dance party. Every Saturday at Los Globos. Wayne’s World! 25th Anniversary! Excellent! Wayne and Garth played by Mike Myers and Dana Carvey, the Saturday Night Live cult icons are perennial slackers in this classic comedy of headbangin’ pop culture. Twenty-five years later, the hijinks are still hilarious as the metalheads leave their parents’ basement to take their public access show to the world. Rob Lowe stars as a villainous producer eager to steal Wayne’s girlfriend and dupe them out of the spotlight. Will Wayne and Garth achieve their dreams? Party with for the 25-anniversary celebration of the antiheroes that made us go schwing! with fun extras, a themed photobooth and DJ Gaslamp Killer. FOOD: Lobsta Truck, Okamoto Kitchen, Rodney’s Ribs, Street Kitchen LA & more! FOOD: Banh Mi, BrewWings, Meat the Greek, Swami’s Sandwiches, The Tropic Truck, La Puff & more! La Plaza de Cultura y Artes and Yambu Productions present the Cuban American Music Festival. Performances by YENI VALDES (former singer of Los Van Van), Charanga Cubana, Changui Majadero, Rumbankete & The Arsenio Rodriguez Project. Urban Air Market, the largest outdoor marketplace focused on sustainable design, returns to Los Angeles for their second year! They’re coming to the charming neighborhood of Los Feliz. Shop from over 100 designers of high quality apparel, jewelry, art, and home décor on Hillhurst at Franklin, with support from the neighboring shops and restaurants of the Los Feliz Business Improvement District. RSVP for a FREE canvas tote bag, available upon check-in at our info booth on a first come, first stoked basis! Check out this monthly daytime party that happens in LA, Chi-town, Atlanta and Oakland. They’re featuring some of the hottest DJ’s from coast to coast. The 20th Annual SoRo Community Festival – SoRo Fest 2017! The Oz-like theme of this year’s festival is “South Robertson: The Emerald Blvd.” and will highlight the occasion of South Robertson Blvd. 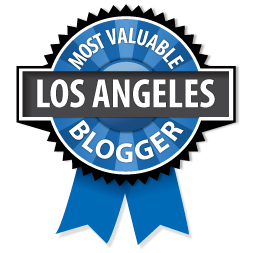 being recognized as one of Los Angeles’s “Great Streets” … inviting residents and families from the entire city (and region) to discover one of LA’s hidden gems. South Robertson Blvd. will be closed to traffic allowing the street to be taken over by upscale booths, and community activities for everyone! The festival will be divided between distinct “Villages” that include a Beer Garden and Gourmet Food Village, Arts Village, Camp SorRo Kids Zone, Car Show, Health, Public Safety and Ecological Villages. The Main Stage will come to life with live music, dance, poetry, comedy and more. Also featured, T4T, will lead a community Mural project. In honor of this years 20th, SoRo Fest will include treasure hunts, raffles and much, much more. The festival is also co-sponsored by the City of Los Angeles- Department of Cultural Affairs, CD-5 (Councilmember Paul Koretz), CD-10 (Council President Herb Wesson), City Trees, and LADWP who will be bringing along their new Solar Truck this year! But most importantly supported by local business owners and residents who care about their community. SoRo Festival proceeds will benefit the SORO Community Foundation (SoRo, Inc) a 501c3 that supports local schools and neighborhood improvement projects- building pride in the South Robertson community and bringing attention to a quality neighborhood full of culture and diversity. South Robertson Blvd. between Cadillac St. & Cattaraugus Ave. This DTLA art festival will transform three public outdoor spaces into an immersive, community-driven art showcase. The festival includes a Friday night performance from THE GASLAMP KILLER in Grand Park, a 900-foot tall harp built by William Close And The Earth Harp Collective in Grand Performances, and interactive & immersive art exhibits from over 30 innovative artists. i3 Arts Fest concludes Saturday night in Pershing Square with an explosive celebration showcasing art cars made famous by Burning Man. Get ready to carbo load as Grand Central Market hosts the third annual Los Angeles Bread Festival on June 3rd and 4th. The free, two-day event is a celebration of Southern California’s artisanal bread renaissance and an invitation to the public to experience the many expressions of L.A. bread at its best. The centerpiece of the festival is a pop-up marketplace showcasing local bread bakers, as well as bread-centric workshops and demonstrations. Among the bakers setting up shop at the pop-up marketplace will be Antigua Artisan Bread, Bub & Grandma’s, Challah Hub, Ensaymada Project, Los Angeles Bread Bakers, Red Bread, The SpeakEasy Bakery and The Underground Bakery. Jam and nut butter purveyors include IndieJams, M. Greenwood Jams, and Spread the Love. Find the ingredients and equipment to make and display your bread from Fat Uncle Farm, The King’s Roost, and The Wooden Palate. Throughout the weekend, Grand Central Market vendors will provide an eclectic offering of special, one-time only bread menu offerings. Gluten-Free Expo will bring together more than 100 companies exhibiting the latest gluten-free products. Attendees can sample gluten-free food and beer, try new products, and take home a bag filled with goodies and coupons. They also can watch cooking demonstrations, snap pics in a photo booth, and participate in book signings and raffles.